This happy event was held, as usual, on the last Sunday before Christmas, on 20th December, 2009. About 30 people gathered at mid-day on a bright, sunny day. 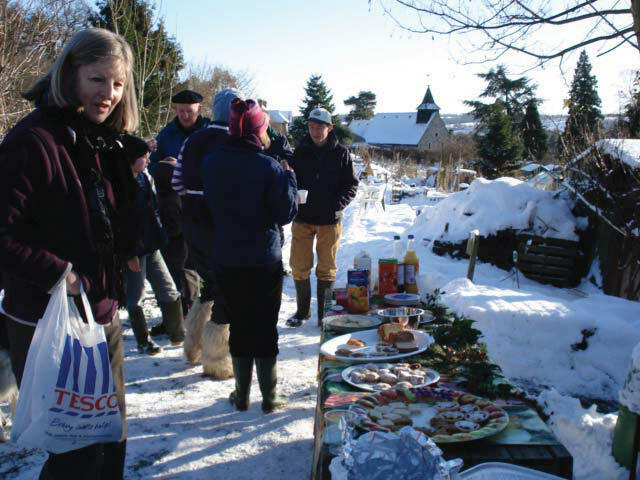 All had walked through the snow to reach Sunnyside Old, to enjoy the warming punch and refreshments. Many thanks to Angela for organising the event, to Ag for making the punch, to Ted for clearing the snow around the tea-hut and to all who brought food. 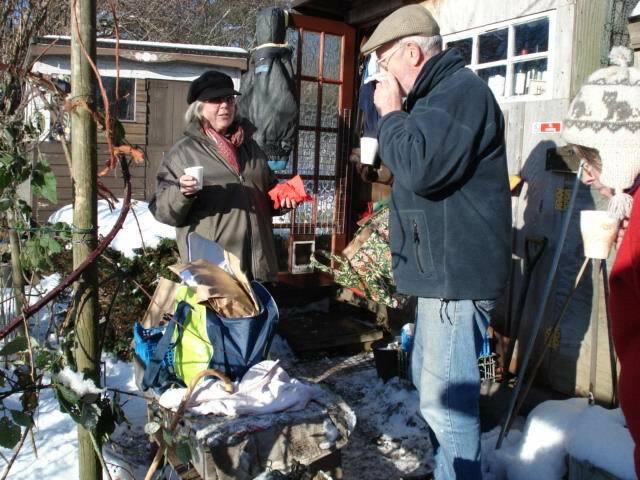 This is a very relaxed time and gives an opportunity to meet and chat in the middle of the winter, when little work can be done on allotments.